The Lifegard Aquatics SINGLE ALL-IN-ONE POND FILTERING SYSTEM is a compact, completely submersible unit that helps to maintain clean, clear water. 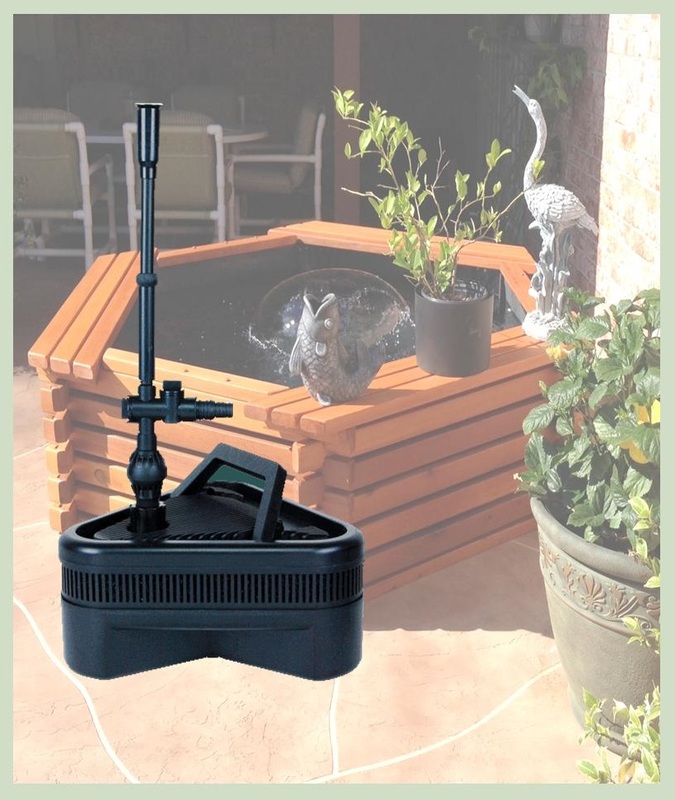 This unit includes a number of great features that ensure your pond is always a healthy environment for your fish, other aquatic animals and plants. 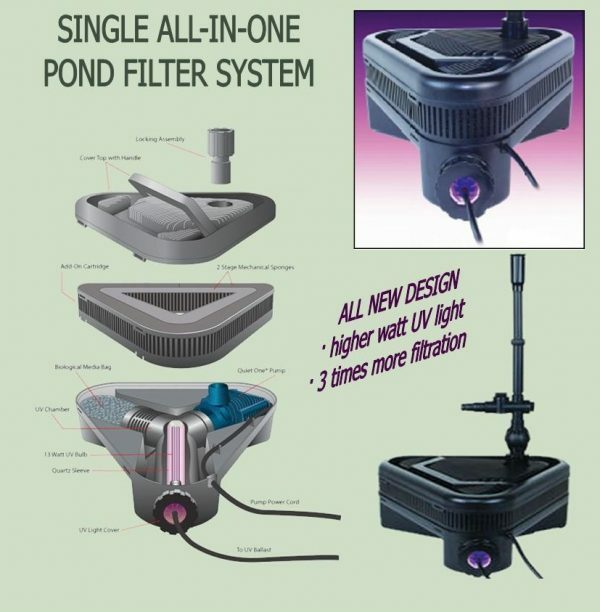 The unit performs three different filtering functions and offers 3 different fountain styles. The built-in ultraviolet sterilizer is effective at killing parasites and bacteria, along with the unicellular algae that causes green water. There is no external plumbing to distract from the beauty of your pond and no leaking pipes to worry about. 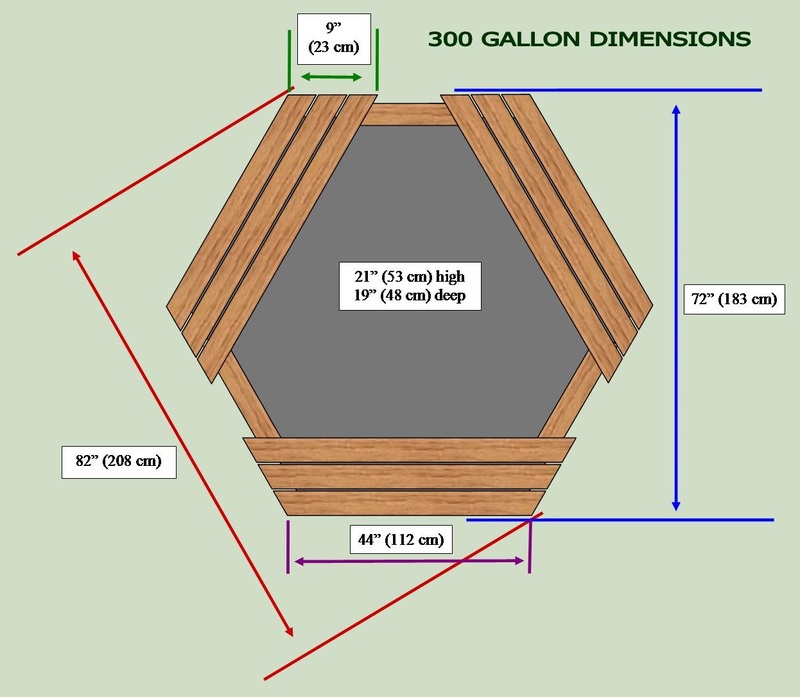 This 3-in-1 filtration solution gives you everything you need right out of the box. The 2-Stage high capacity MECHANICAL FILTRATION, with 2 types of sponges, removes large debris. A quiet, efficient model 2200 QUIET-ONE PUMP with 20 foot power cord powers the unit.